The Vertical Steerable Array series provides vertical coverage beams from 10° to 30° and vertical steering from 0° to –40°. RCF announces the VSA II digitally steerable column arrays are now shipping. The VSA II column loudspeakers are capable of providing precise directivity of audio targeted to the audience listening area. Advanced DSP allows the vertical acoustic dispersion to be controlled with the capability of “steering” and “beaming” the sound to the intended areas, reducing acoustic anomalies due to highly reverberant spaces. 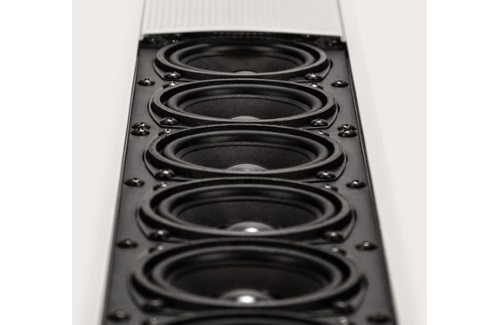 This sound-focusing technology of the Vertical Steerable Array series precisely reaches the listener, without interfering with ceilings, walls, or any other surface for up to 96 dB Max SPL at 30 meters. The system allows the audio signal to be addressed exactly to the listening area, with vertical coverage beam from 10° to 30° and vertical steering from 0° to –40°. Unobtrusive and robust aluminum cabinet blends seamlessly in any sensitive environments. Custom colors are available on request. Each VSA II column can be programmed directly from the RDNet or via the VSA Remote App and the VSA-RC device. VSA II column loudspeakers offer three sizes – with 8, 12, and 20 transducers – each one coupled to a reliable 50 watt amplifier for clarity and intelligibility. The unit can be controlled using RCF proprietary RDNet networked management software and features useful voice alarm facilities.